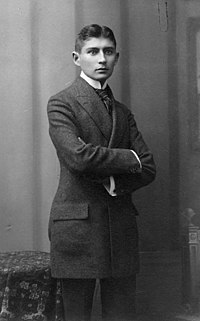 Kafka was the eldest of six children.<ref>Hamalian (, 3).</ref> He had two younger brothers, Georg and Heinrich, who died at the ages of fifteen months and six months, respectively, before Kafka was six, and three younger sisters, Gabriele ("Elli") (1889–1941), Valerie ("Valli") (1890–1942), and Ottilie ("Ottla") (1892–1943). On business days, both parents were absent from the home. His mother helped to manage her husband's business and worked in it as much as 12 hours a day. The children were largely reared by a series of governesses and servants. This page was last modified 21:47, 18 August 2007.